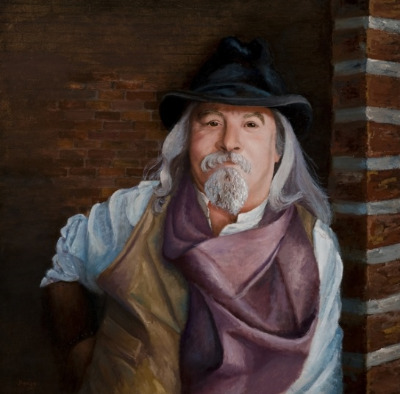 JEFF GANT is this weeks highlighted artist of the TRAVELING THE WEST SHOW, Dallas, Texas 22-24 Oct. 2015. Please visit travelingthewestshow.com to see all of Jeff's outstanding artwork for this major western event. "So Happy Together" won People's Choice Award at the West Texas Watercolor Society's Red Show at the Legacy Gallery in Lubbock, Texas. It is a Mixed Media piece created with acrylic and layers and is 8x8 on canvas panel. It is not available. Photography is a way to capture the moments when I connect intimately with the beauty in the world: natural beauty, man-made beauty, and the convergence of the two. My training is in an Eastern contemplative arts tradition that emphasizes experiencing the world in a direct and non-judgmental way. It requires a quiet, open mind to see what is there to be found in that instant. From this view, the images are presenting themselves and my art is fashioned by engaging with them. A strong photograph is one that captures a moment in such a way it transmits the experience to the viewer. My passion is doing photography along the coast of Texas where the mix of man and nature, of land, sea, and air, construct images that are figurative, impressionistic, and even abstract. I love painting people, getting just the right expression in their eyes, leaving a little mystery, telling a story. I paint with unexpected color combinations that visually blend to believability, creating beautiful skin tones. Pastel is my first and only medium. With its range of subtle lights and intense darks, I can achieve a transparent glowing luminosity or thick impasto. I painted these cheerful poppies with extremely thick oil paint and palette knives to achieve depth and texture. The resulting image comes to life and is loaded with uplifting color, energy and movement. Or, e-mail Niki Gulley for more information. Painting in the studio, waiting for the weather to change. This one was a lot of jun. I've been wanting to do a format like this one. With some studio time on my hands, I like to go back into past plein air studies, and select one to reconsider. I try some different compositional ideas in a few notan sketches, until I hit on something that seems like it could make a strong painting. Then, I try to work with a color idea that is more developed than I can do when speed painting in the field. Finally, I try to apply things I'm working on to improve in some way. In this case, I was trying for a more unified color feel and atmospheric effect. This kind of exercise lets me re-imagine the scene and develop it according to my memory of the feeling I had while painting the study.